I'm swimming in projects and I wanted a very fast and simple way to document the photos I captured for August's Day In The Life. This is only my second time doing this project and I really loved taking photos every hour and writing a few words about what was going on. It will be fun to look back on what we were doing years from now. Since Aug-19 was a Saturday, I had a more interesting day (compared to many hours of work). Also since my daughter and I had just returned from France that week, our routine was a bit off -- especially the timing of our day. I don't normally start my day before 5 am and end before 10 pm! I loved creating my own traveler's notebook a few months ago for the previous Day In The Life, but that was going to take more time and I really wanted something I could finish in an afternoon. 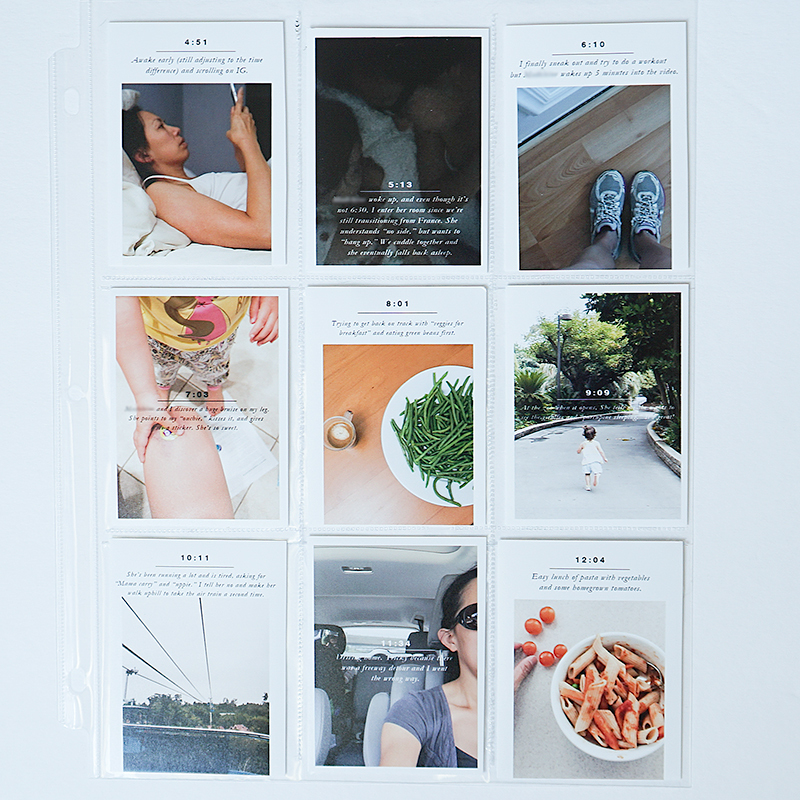 I decided to add the photos in a page protector in my regular Project Life album. 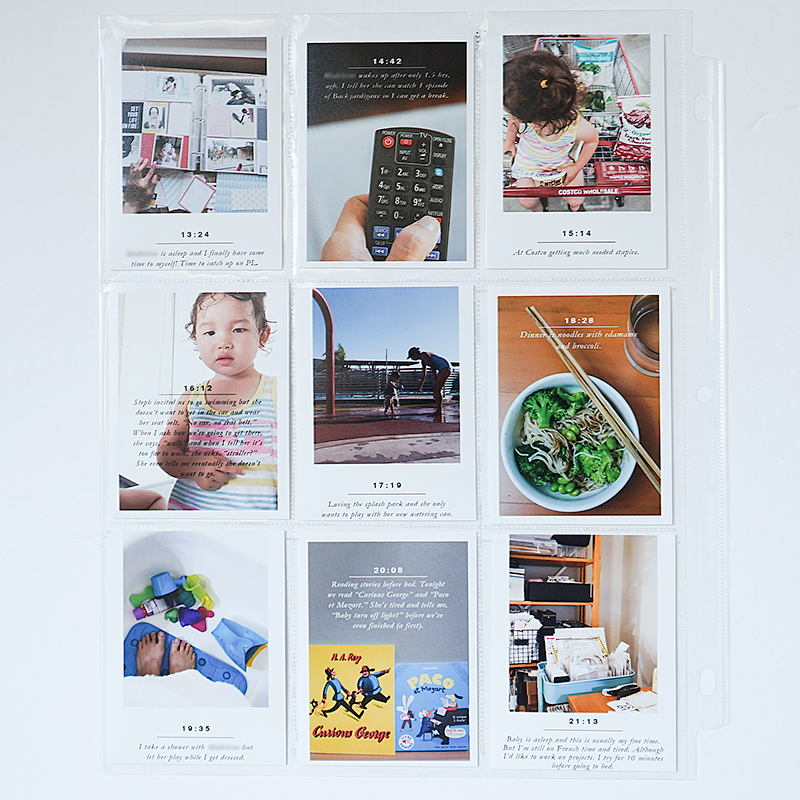 I used these minimal and modern photo templates from paislee press to create 18 trading card-sized photos to slip into a 9-pocket 8.5 x 11" page protector. I stuck to using only 3 of the photo templates in the collection and alternated between the square photos and full photos. I added brief text to tell what was happening that hour. 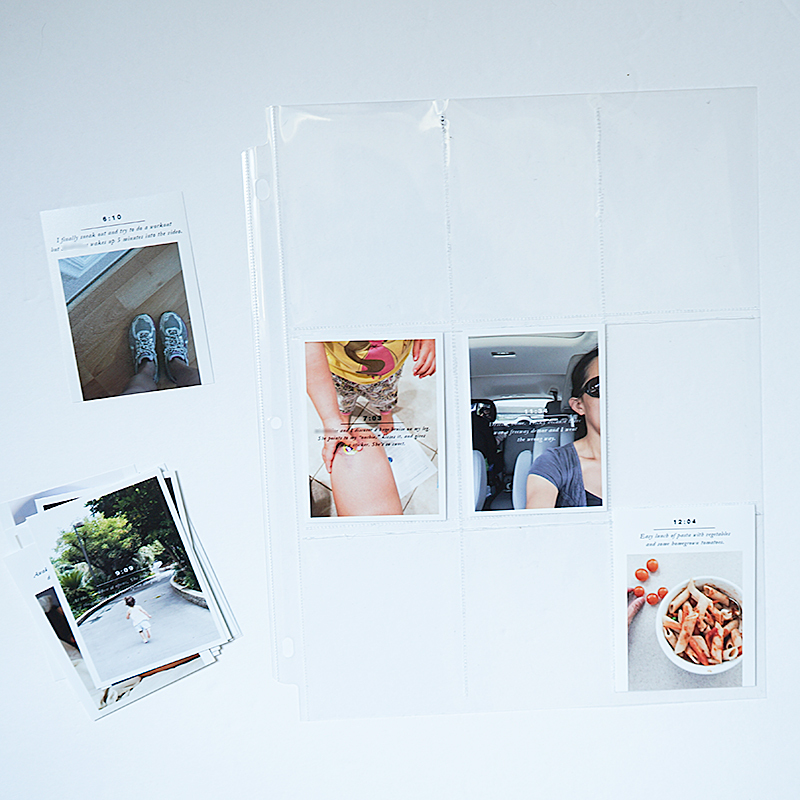 After printing and cutting, I slipped the photos into the page protector and it was done, only a few hours later! 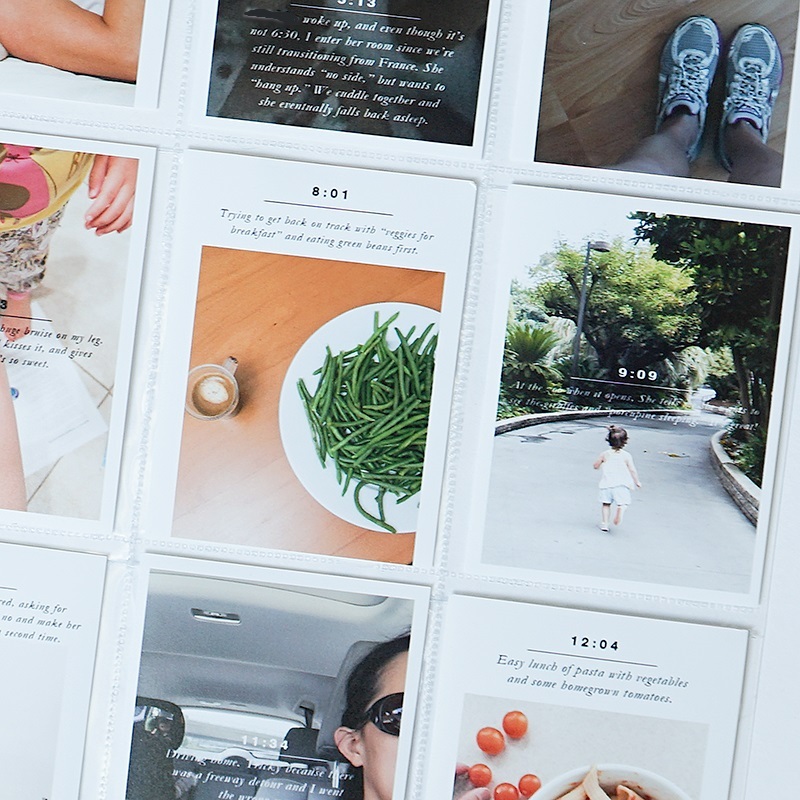 Do you document your Day In The Life? What are your easy and fast ways to get the project done? I'd love to hear.